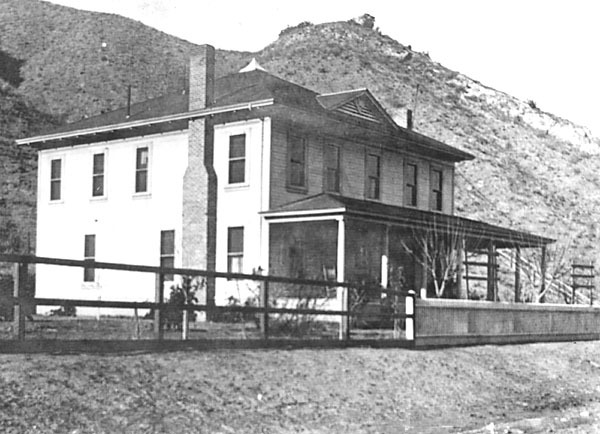 The "Big House" in Mentryville, aka the Pico Cottage  a 13-room Victorian mansion  was the third Santa Clarita Valley home of Charles Alexander Mentry. It was completed in 1889. Date of photo unknown. Provided by Darryl Manzer. See a later photo from a similar angle after the chiminey fell off here.